The November 2018 market wipeout has seen LINK/USD drop into support provided by the .786 Fibonacci Retracement level priced at $0.2643. The upside is limited until LINK can break back above the $0.40 handle. Support moving forward: $0.2818, $0.2643, $0.25, $0.2165, $0.20, $0.1637. Resistance moving forward: $0.3446, $0.40, $0.4219, $0.45, $0.4936, $0.60, $0.5338, $0.5772, $0.60. ChainLink has seen a marginal price decline totaling 4.87% over the past 24 hours of trading. The cryptocurrency is now exchanging hands at a price of $0.2972, at the time of writing, after undergoing a relatively quiet 7-day trading period where price action rose a slight 0.69%. 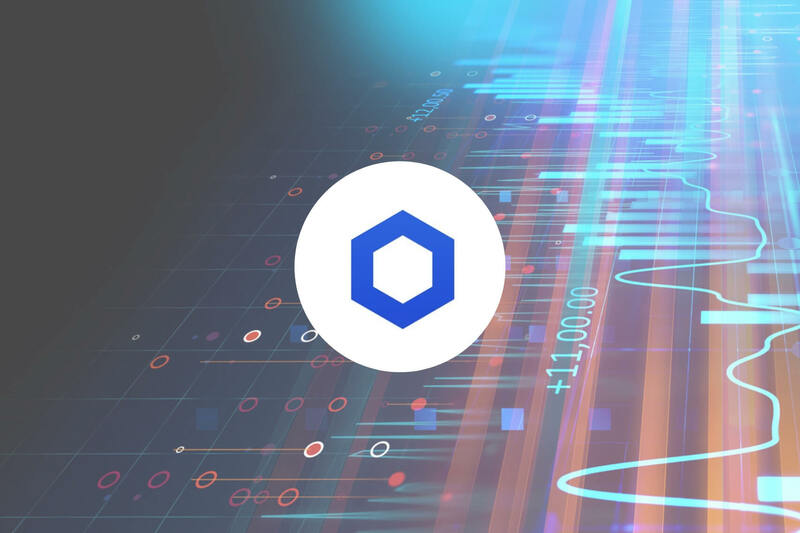 The ChainLink project is now ranked in 49th position in terms of market cap value as it retains a total market cap of $103 million. The LINK/USD market, like the rest of the industry, has seen an unstable November 2018 as price action plummeted by over 42%. However, LINK holders may find some promise in the fact that price action is still up by 18% over the past 90 trading days. Let us continue to analyze price action for LINK/USD over the short term and highlight any potential areas of support and resistance. For a long-term overview of the LINK/USD market, we recommend revisiting our previous analysis as the long-term outlook is still in motion. Taking a look at LINK/USD from the short-term perspective above, we can see that since our previous article on LINK/USD, the market had continued to travel slightly higher than our outlined resistance level at the short-term 1.618 Fibonacci Extension level (drawn in green) priced at $0.5772. However, as Bitcoin began to tumble during mid-November, LINK/USD also fell off the edge of the same cliff. The market collapsed and continued to drop rapidly until reaching support at the short-term .786 Fibonacci Retracement level (drawn in blue) priced at $0.2643. LINK/USD had attempted to make a recovery from this level of support but ran into resistance at the short-term .5 Fibonacci Retracement level (drawn in blue) priced at $0.40 before retracing back to where it currently trades at $0.2972. Looking ahead, if the selling waves continue within the cryptocurrency industry and price goes lower, we can expect immediate support below to be located at the long-term .886 Fibonacci Retracement level (drawn in black) priced at $0.2818, followed by the short-term .786 Fibonacci Retracement level (drawn in blue) priced at $0.2643. If the selling pressure causes LINK/USD to head even further below support at $0.25, we can expect more support beneath to be located at the short-term .886 Fibonacci Retracement level (drawn in blue) priced at $0.2165, followed by support at the low created in June 2018 priced at $0.1637. On the other hand, if the buyers can re-enter the market and begin its recovery, we can expect immediate resistance to the upside to be located at the short-term .618 and .5 Fibonacci Retracement levels (drawn in blue), priced at $0.3446 and $0.40 respectively. Further resistance above $0.40 can then be expected at the long-term .786 Fibonacci Retracement level (drawn in black) priced at $0.4219, followed by the previous short-term 1.618 FIbonacci Extension level (drawn in purple) priced at $0.49. Higher resistance above $0.50 can be expected at the 1.414 and 1.618 FIbonacci Extension level (drawn in green), priced at $0.5338 and $5772 respectively. The RSI is still trading within bearish conditions under the 50 handle as the sellers control the market momentum. The RSI had attempted to break above the 50 handle toward the end of November 2018 but failed to do so and dropped once again. If the RSI continues to travel lower, we could see LINK/USD breaking below the initial support levels highlighted above. Let us continue to analyze LINK/BTC over the short term and highlight any potential areas of support and resistance. For an in-depth overview of LINK/BTC, we recommend our previous LINK/BTC analysis. Analyzing price action from the short-term perspective above, we can see that the market had continued to travel directly into our outlined resistance zone at the 1.618 Fibonacci Extension level (drawn in blue) priced at 9862 SATS before reversing. During the November 2018 market wipe-out, price action for LINK/BTC began to fall until it found support at the long-term .382 Fibonacci Retracement level (drawn in black) priced at 6,453 SATS. Price action rebounded from this support level but had met resistance higher at the 1.414 Fibonacci Extension level (drawn in blue) priced at 9,093 SATS before rolling over once again. LINK/BTC is once again heading lower as it approaches support at the short-term .382 Fibonacci Retracement level (drawn in peach) priced at 7,053 SATS. Looking ahead, if the sellers can cause price action to break below the 7,000 SATS handle, we can expect immediate support below to be located at the long-term .382 FIbonacci Retracement level (drawn in black) priced at 6,453 SATS, followed by the short-term .5 Fibonacci Retracement level (drawn in peach) priced at 6,142 SATS. If the selling pressure continues to cause price action to drop further, more support can then be expected at the long-term .5 and .618 Fibonacci Retracement levels (drawn in black), priced at 5,408 SATS and 4,363 SATS respectively. On the other hand, for our bullish outline, if the buyers can regather their efforts and begin to cause price action to ascend once again, we can expect immediate resistance higher to be located at the psychological round number handle at 8,000 SATS, followed by the 1.272 Fibonacci Extension level (drawn in blue) priced at 8,558 SATS. Further resistance above this can be located at the 1.414 and 1.618 FIbonacci Extension levels (drawn in blue), priced at 9,093 SATS and 9,862 SATS respectively. The RSI within this market is also trading below the 50 handle which indicates that the bears are in control of the market momentum. If we would like to see a recovery in LINK/BTC, we would need to see the RSI break back above the 50 handle to indicate that the bulls have taken charge of the momentum within the market. 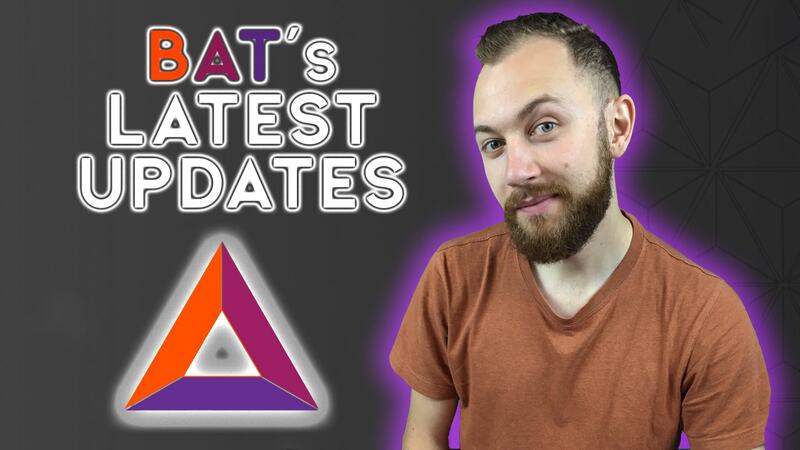 Will BAT Fly After New Brave Upgrade?